Linux Mint Debian LMDE3 DVD (64-bit) | Linux DVD Shop - UK Linux Shop supplying Linux on CD, DVD and USB with Free UK Delivery, 24Hr Dispatch. Linux Mint Debian Edition 64-Bit DVD is a distribution which features a lightweight, faster desktop and elimates the need to upgrade with automatic updates to software and packages. This version never reaches its "end of life" due to perpetual software updates. Software included are Firefox for web browsing, VLC for multimedia playback, LibreOffice for office documents, GIMP for photo editing plus Bashee for audio and Totem for video playback. 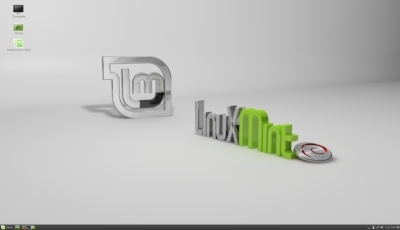 This edition of Linux Mint now comes with the new 'Cinnamon' 3.0 desktop which is derived from GNOME.